Note: For some time I have kept, on index cards, written notes about the books I’ve read. I decided to share some of these thoughts here, and will be posting them, one by one on individual books, in no particular order. I’ll group them all together on a central page later. For now I’m assigning them all to my Book Notes category. Thanks to Derek Sivers for the inspiration. What is deep work? It’s the core stuff we are trained to do, for which we’ve developed deep expertise – the crux of what makes us experts in our field. 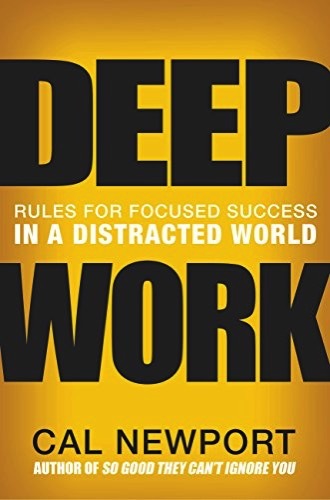 What isn’t deep work – or, as he calls it, “shallow work”? Newport says it’s activities that a recent college graduate could learn how to do relatively quickly. So, if you’re a consultant, let’s say, you must devote yourself entirely to your most important work, like producing deliverables for clients or bosses. Eschew all but the most critical email, needless meetings, social media and other distractions – even though it may seem like this stuff is important to your job. Keep a scorecard: log not only how many hours per day you’re able to spend on deep work, but track with a paper and pen, and post in a conspicuous place, details on when you’ve reached important milestones, such as completing important projects. Train yourself to embrace boredom in order to build focus: Newport notes that a key requirement of deep work is the ability to concentrate deeply for long stretches of time, and that means resisting the temptation to surf the web or check in on social media when boredom strikes. Ponder your work when walking. In a notable passage, Newport says he often takes long walks to and from his office, devoting the time to thinking about problems that are vexing him at work, searching for solutions. That said, guard your downtime: Though Newport is a successful academic, publishing regularly, he argues that because he consistently focuses on deep work, he doesn’t have to work marathon hours. This is crucial because focusing is more mentally demanding than shallow work, and the brain needs time to relax. 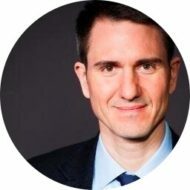 Newport even describes how he mentally prepares to leave his office every day, saying out loud to himself that he is finishing his work and shutting off his computer, serving as a reminder that it’s time to tune out a bit. The premise of that work: Follow your passion is terrible advice. True work satisfaction often comes only after a good deal of time, once we’ve developed expertise. So pick something you’re good at, that you like, and that society values. Then develop a craftsman’s mindset, honing your skills over time. Also worth checking out.